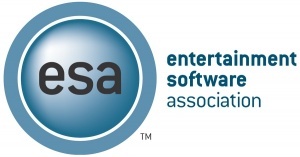 The Entertainment Software Association has filed a motion seeking legal fees and expenses from the state of California as a result of its successful challenge to the state's recently-overturned videogame law. The ESA is claiming the legal battle, which led to the overturning of the "fundamentally flawed" law, cost a total of $324,840. If granted, it will bring the costs awarded to the industry in First Amendment defenses to nearly $1.9 million, spread across eight other jurisdictions that had attempted to pass similar laws. Michael Gallagher, president of the ESA, said, "California citizens should be outraged at their elected leaders. Hard-earned tax dollars were spent on defending this law that California's state leaders knew was unconstitutional. Before Senator Leland Yee proposed this bill, federal and district courts across the country ruled that the path California was taking would run afoul of the First Amendment." "From early on, the industry warned Governor Schwarzenegger and Senator Yee that this bill was unconstitutional and would be thrown out by the courts and that California taxpayers would pay the cost," he added. The law was struck down in August by Judge Ronald Whyte, who found that videogames were protected under the First Amendment, saying, "While none of the cases holding violent video games laws unconstitutional are Ninth Circuit cases binding on this court, they nevertheless reflect a strong judicial antagonism towards such laws that this court should not ignore." Other states that have attempted to pass laws banning the sale of videogames to minors have met with expensive failure: A U.S. District Court Judge ordered Louisiana to pay the ESA's legal fees following a successful First Amendment appeal in that state, while in Illinois it was revealed that Governor Rod Blagojevich spent nearly $1 million in a failed defense of an unconstitutional videogame law, which ultimately resulted in cash being drawn from public health and state welfare programs in order to cover the cost. The filing comes on the heels of an announcement by California Governor Arnold Schwarzenegger that he would appeal the decision which overturned the state law. Most legal experts and commentators agree that the move is doomed to failure, and will result only in greater expense for California taxpayers.